This belt is a must for Police, Fire/Rescue, and Spec Ops personnel. You can wear it in place of your regular belt. 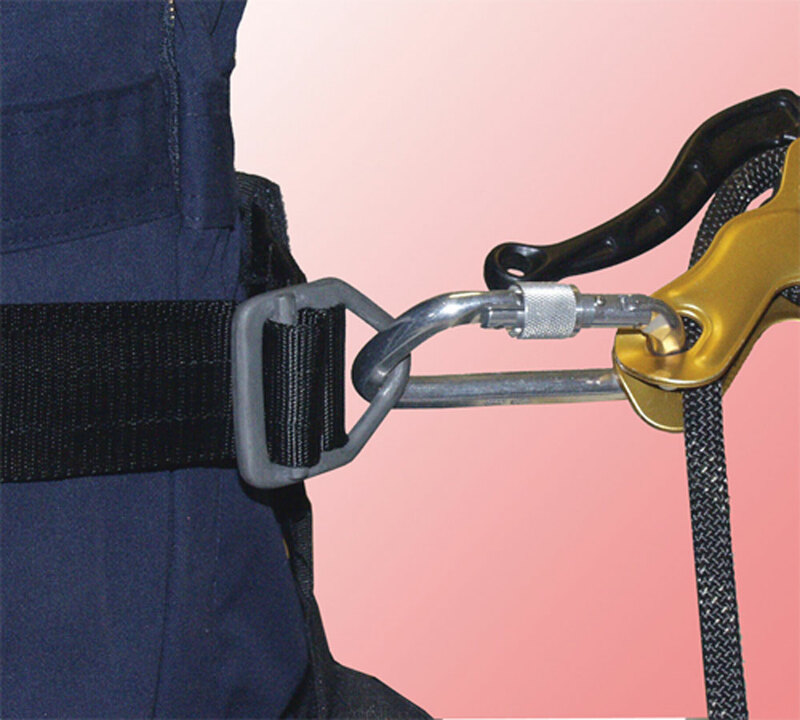 Just clip a carabiner through the buckle and you are ready for emergency rappelling, and/or extrications. The belt is manufactured with 48mm black nylon webbing. The black millspec buckle has a large triangular portion which will accommodate a carabiner. Velcro strip keeps free end of belt from flapping.